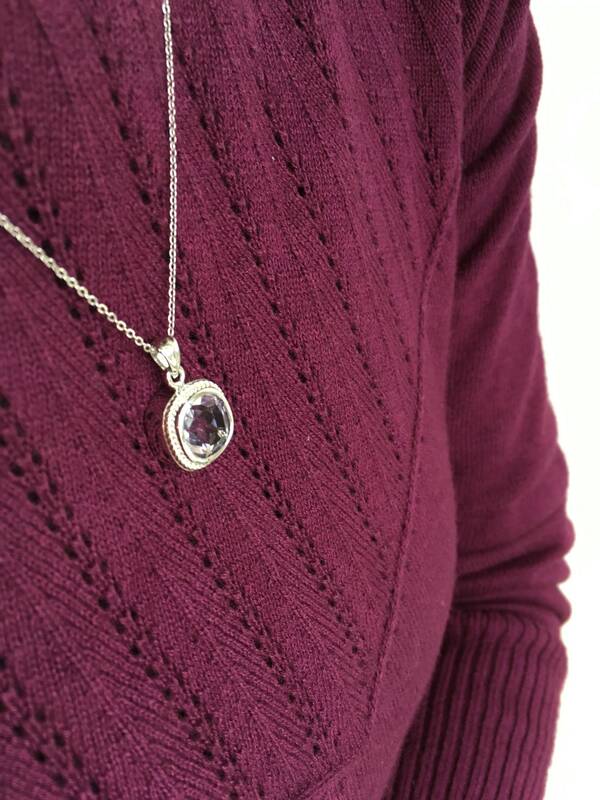 Classic Minimalist Amethyst Pendant necklace in Sterling Silver with adjustable sterling chain. 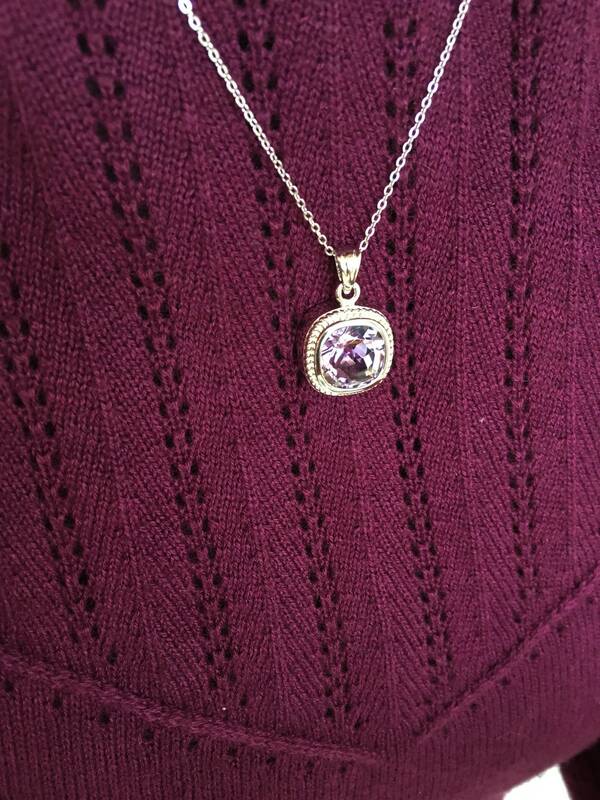 February Birthstone in lovely lavender! 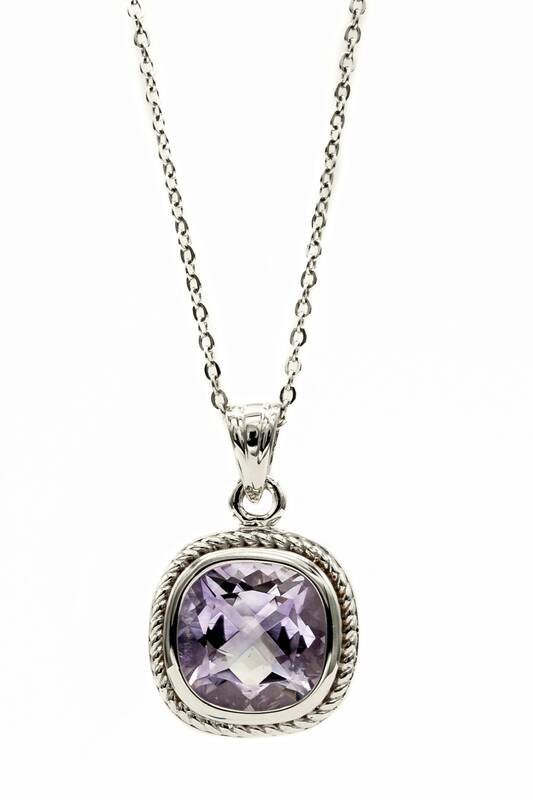 This wonderful Lavender faceted Genuine Amethyst Pendant would make a perfect gift for your February born sweetheart. 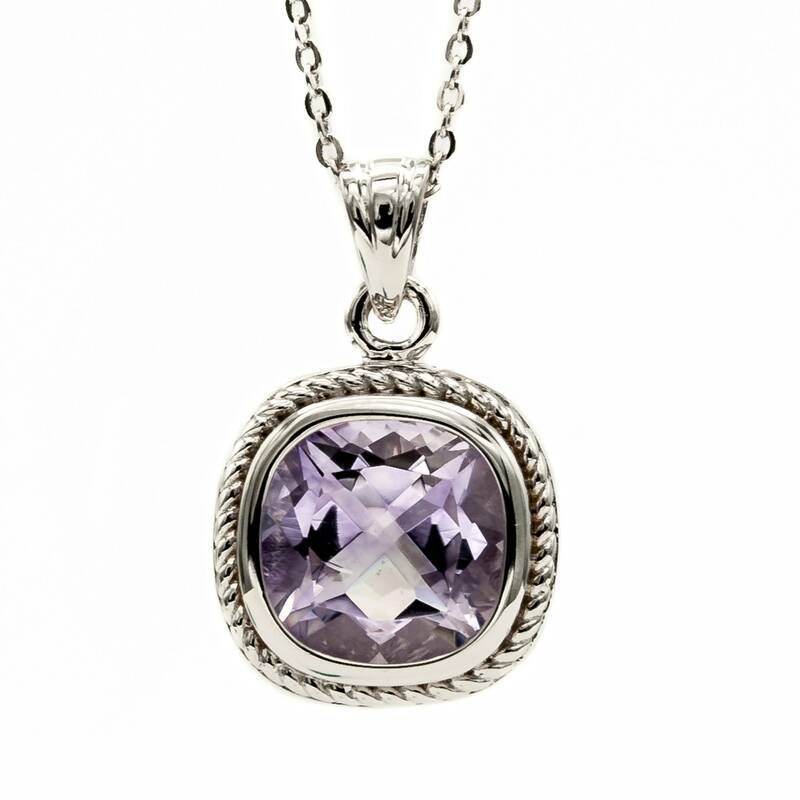 The Amethyst is bezel set in a substantial sterling silver band with rope detailing. 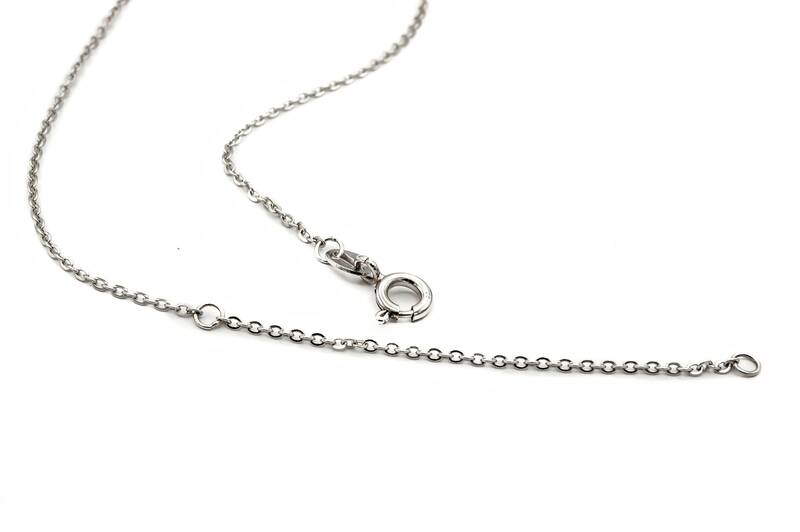 We offer this piece inclusive of it's matching 18" silver cable chain which features a handy stop ring at 16". 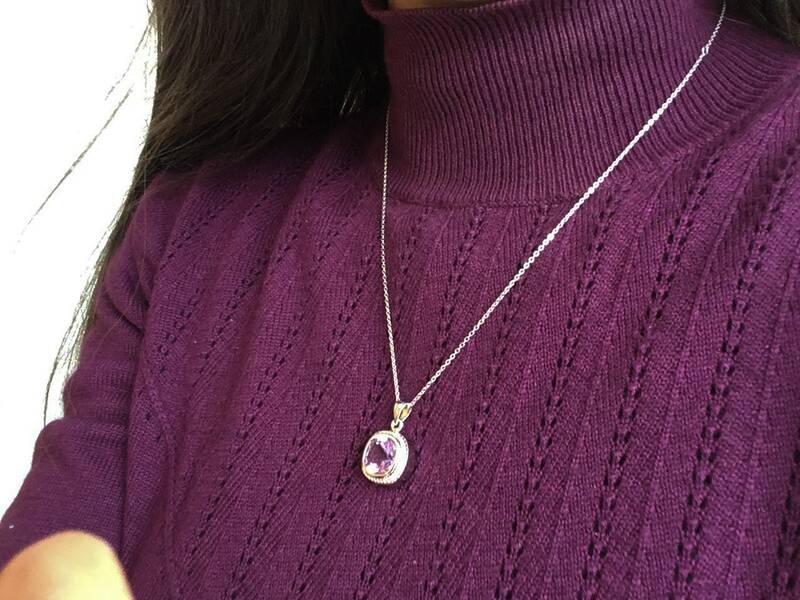 This allows the pendant to be worn in two different lengths. All estate and vintage jewelry purchased from us has been totally restored and in pristine condition. Items made in our own workrooms will always be of top quality. We can alter the size or length of almost any piece in our collection. We can also change any gemstone in almost any of our jewelry to suit your needs. All of this work will be done on premise in our own workroom. Even vintage and antique pieces can be altered to suit your tastes if you wish. All jewelry purchased from us will arrive in a beautiful black jewelry case with our name and location embossed in gold on the inside cover, as well as an outer case also embossed in gold with our name. If you wish, we will also gift wrap free of charge any item purchased from us. We are very conscious of the reputation we have gained in over 50 years in business in the same location and truly believe that the customer is always right. Please feel free to phone us at 716-886-1300 with any questions or concerns you may have. Our brick and mortar storefront is located in Buffalo, New York on Elmwood Avenue. Please visit our website www.aurumonelmwood.com for more information about us and our jewelry. Also, please see our 100+ Google and Yelp reviews. Free USPS priority delivery included!